Observation - common starfish - UK and Ireland. 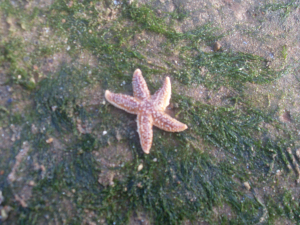 Description: Common starfish. light orange colouration. 5 arms with pentaradial symmetry. Approx 3cm in diameter. Common starfish. light orange colouration. 5 arms with pentaradial symmetry. Approx 3cm in diameter.